THANK YOU to Pottsy @ http://fearofthereaper.com/aboutme/ for the nomination. It’s been an absolute treat reading her blog and getting to know her better – check her out and see what I mean! Well, let’s get this par-tay started! The 10 Questions Given to Me….. Dogs!!! I’ve had cats and really have nothing against them, other than they get on the kitchen counter which drives me to the point of rage. I love most dogs and their personalities, mostly because they’re just excited to see you and engage more with you than cats. Small dogs fit my lifestyle better but I like big dogs (just don’t want to own one). Originally, I wanted to do more fitness posts to share my ideas and help others. That idea expanded into my life as a whole. 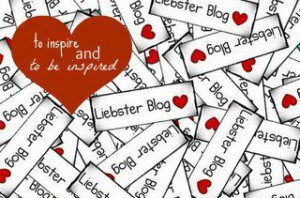 I’m way too opinionated to stick with one genre of blog! 🙂 After getting into it, I realized that I really like connecting with others, learning about them and hearing fresh outlooks on various topics. What a fun question! I would be Belle from Beauty and the Beast. She’s strong, pretty, simple and has a quest for knowledge, a huge library, household items that do all the work, a father who loves her and a hunky prince. Depends on the day! 🙂 I actually don’t drink a lot. If I’m on vacation, a mimosa sounds good with breakfast. Sometimes we’ll have tipsy 80’s movie marathons and start making drinks in the early afternoon, on a Saturday, and spend a handful of hours drinking wine or cocktails and watch 80’s movies and laugh our heads off. Or, at BBQ’s, maybe start drinking around 4 or 5pm. I would let them know and joke that I should get a reward. At least a free Subway sandwich! Hmmm this is a good one. It would probably depend on the crime/time behind bars. And the person 🙂 I think the fear of what would happen to me in jail would overpower the guilt of letting someone else take the fall. Hard to say without being in that situation. Paris or Italy! I would eat fabulous food daily, explore the beautiful sites and do a lot of walking! I have a few: Judy Blume, Carline Thompson and Dan Brown. Love them all for different reasons. The only history I would change is my own story. Changing the world’s history would ultimately change the world we have now, perhaps into something worse! You would just be trading one evil for another or one good moment for a new one. It’s like the saying “the grass always looks greener in the other pasture, until you’re in the other pasture”. But I’ve made some bad decisions that I would go back and correct, if only for some peace of mind. When you’re not blogging, what’s your day job? One thing you’re dying to do? If nothing stood in your way, what profession would you be in right now? Who is one person you admire? What do your friends typically make fun of you for? When was the last time you felt successful? Where is your favorite destination spot? What qualities did you get from your family that you love or hate? Would you travel to space if given the chance? I swear, it’s the only way to watch some of those classics! It’s something fun that we’ve really enjoyed. We’re not big into drinking unless we’re at home, so we don’t have to worry about driving. All done 😀 thanks for the nomination sorry for the late responce!